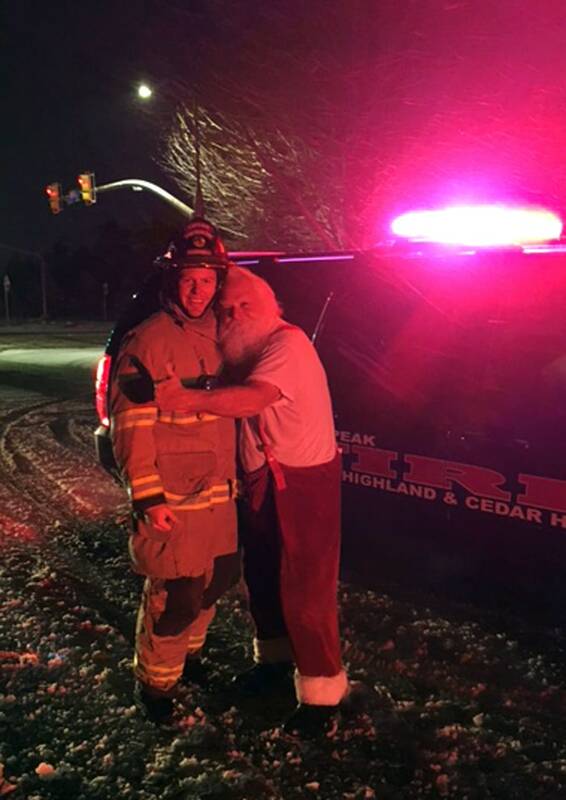 A stranded Santa Claus whose car caught fire Christmas morning is sure to put one northern Utah fire department on his nice list next year. "They were stunned when I came walking down the road — a Santa," Macey said. "They all wanted pictures." "He's going to have to go back to using his sleigh," McRae said. "You can't leave Santa stranded on the side of the road," McRae said. After the Santa suit-clad Macey delivered presents to the child, the family at the Alpine home offered to let Macey borrow one of their vehicles, which had been left at a friends' house. "It's not a disastrous Christmas for me. As a matter of fact, it's probably the greatest Christmas I've ever had in my entire life — to see people care and put their arms around me." McRae said he's worked many holidays but has never had the chance to rescue a Santa Claus. "It kind of makes it a little more enjoyable to do something like this," he said. "We're just glad that he could get out and make the call and then continue on his last little trip there."